Fleep for Business gives you the admin controls and features you need for your company. 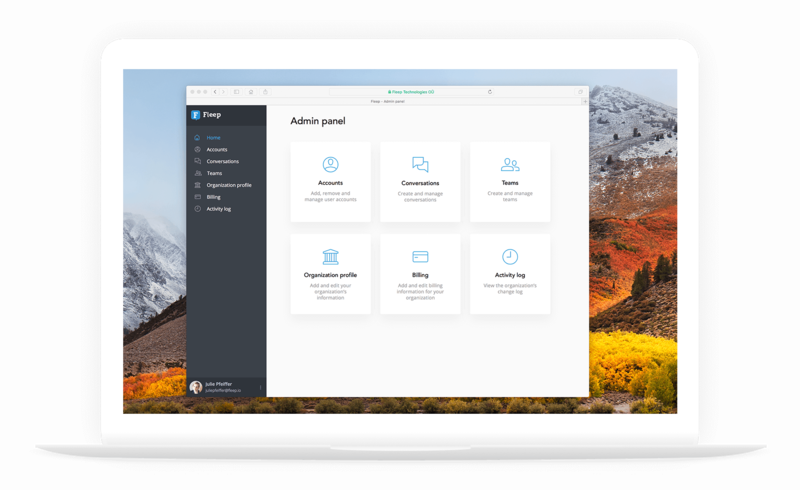 Fleep for Business includes everything in Fleep, plus the admin rights you need for a business environment. Make sure the right people are connected. You and your admins are in control of your company's accounts, conversations and teams. Never run out of file storage again! All Fleep for Business users get to enjoy 100GB of file storage in Fleep. Fleep for Business users can use the Status message feature and the My tasks view, which gives an overview of all tasks assigned to them, across their conversations. Fleep for Business starts at €5 per user per month (when paid annually). Upload and see your company's logo in Fleep, making it really yours. Set up a Fleep for Business trial for your company today.